Home / LCH Explained / How Do We Teach LCH? How Do We Teach LCH? How Are Our Courses Different? Lectures, talks and handouts are all very well when dealing with facts or theories, but hypnotherapy deals with people. When you start in practice, you will be consulted not only by people with many different problems, but also by those with many differing beliefs and expectations about hypnosis and hypnotherapy. This is one of the reasons why we teach by working with volunteer patients – members of the public who have genuine problems. You will see the different reactions and how each person is dealt with as an individual, from the first session and throughout their treatment. On subsequent days, as we work through the treatment with each patient, you will also see how any difficulties are overcome and throughout the training day will benefit from full discussion, explanations and strategies. Thus, you will gain the deepest possible understanding providing you with the flexibility to deal with almost any patient when you begin in professional practice yourself. Once you have witnessed how the tools and techniques are applied, have gained the understanding through the explanations, tuition and demonstrations supplied you will have the opportunity to practice them for yourself in the safe and supportive environment of the course – gaining experience as well as confidence in their use. 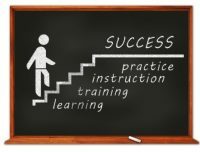 Begin using the tools and techniques you are learning in Supervised practice sessions. Each Stage One course averages a student/tutor ratio of 4:1, so that all students have a chance to have their questions answered and opinions listened to. It also means that every student benefits from individual and personalised feedback on their progress throughout the entire course. This course is not simply a series of lectures, talks and handouts – it is an actual practical course, equipping you to go into professional practice without delay.